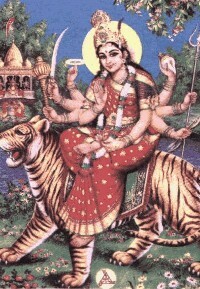 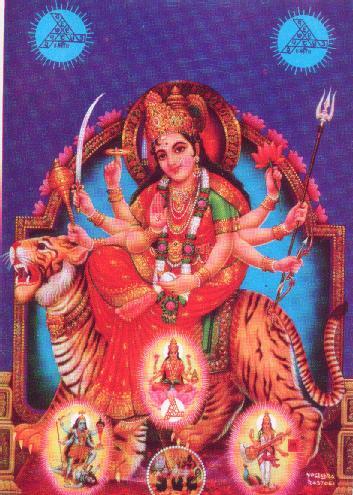 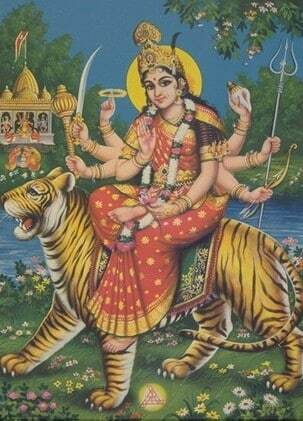 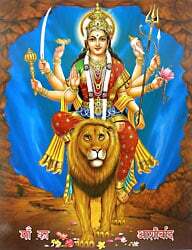 Jagatambe / Jagadambe / Jagdamba (Mother of the World). 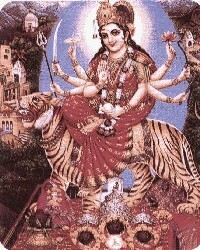 Bhavaani (The abode of the universe). 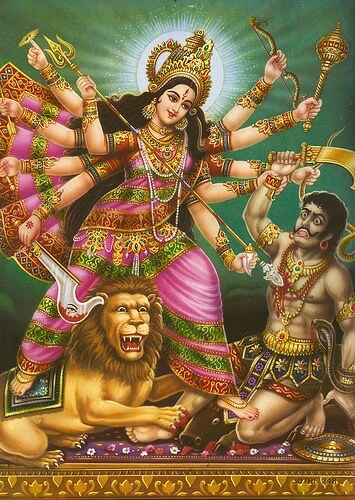 About / Over Durga you can find more information here. 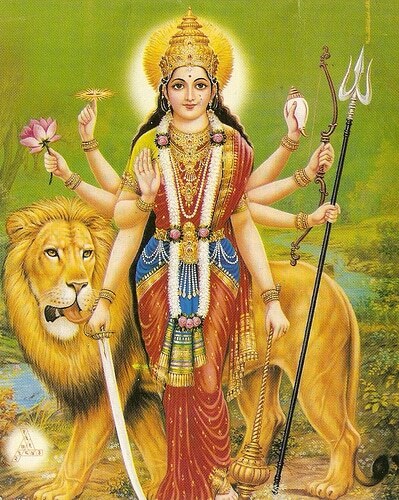 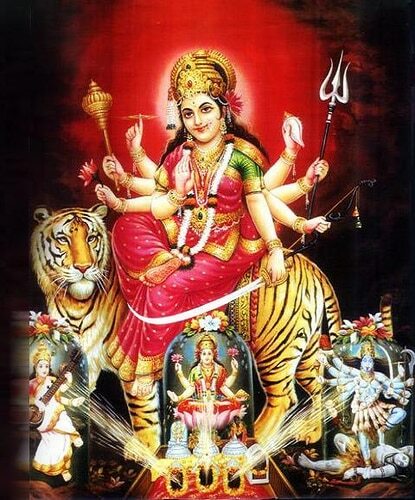 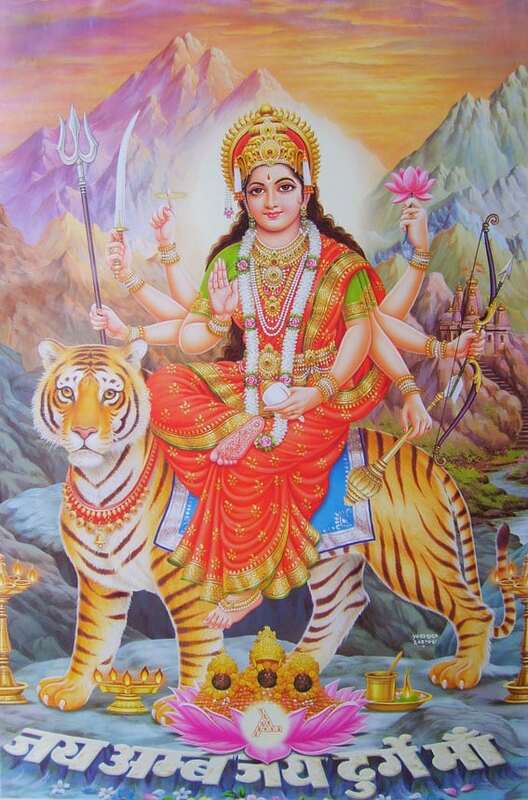 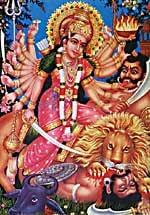 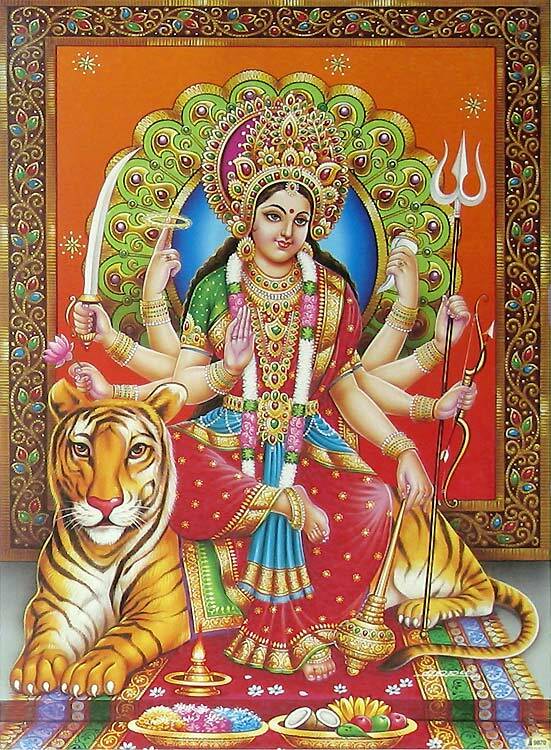 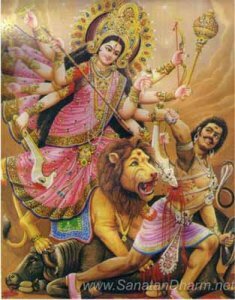 Look here for all of the 108 names of Durga. 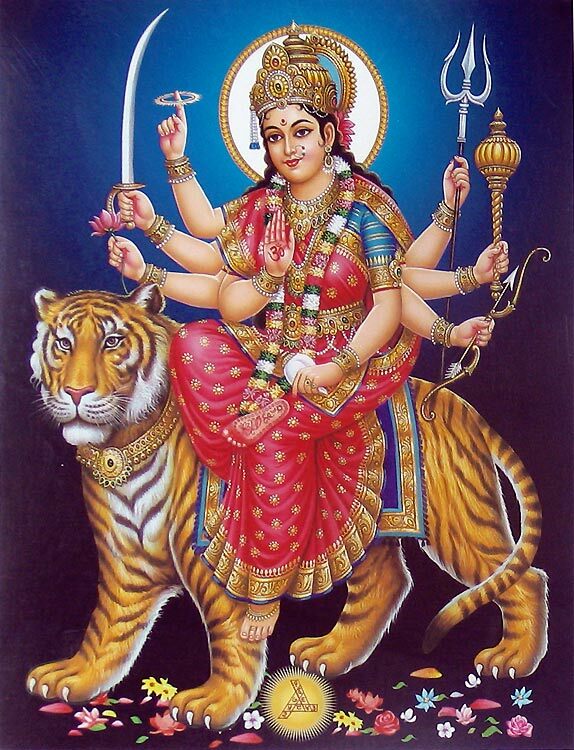 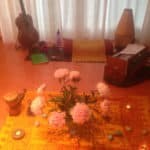 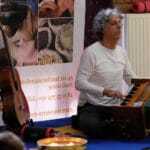 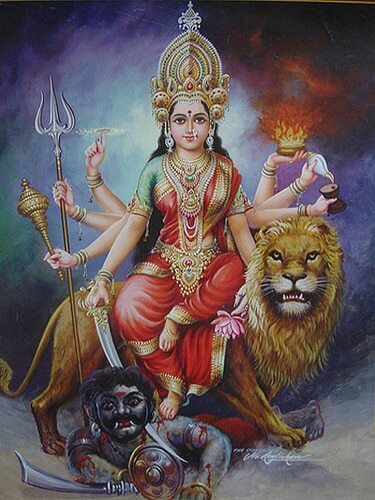 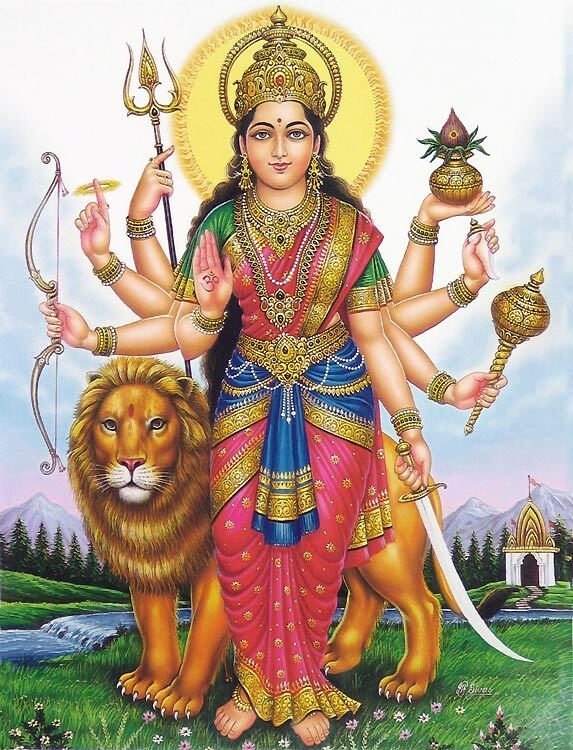 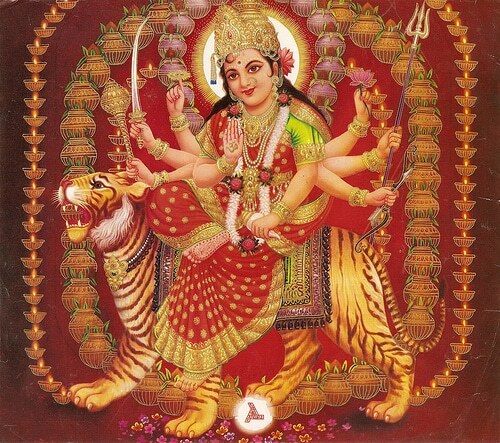 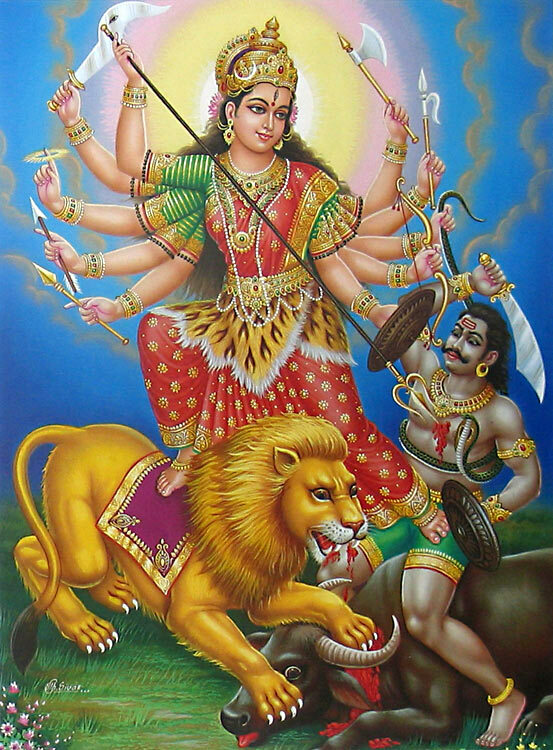 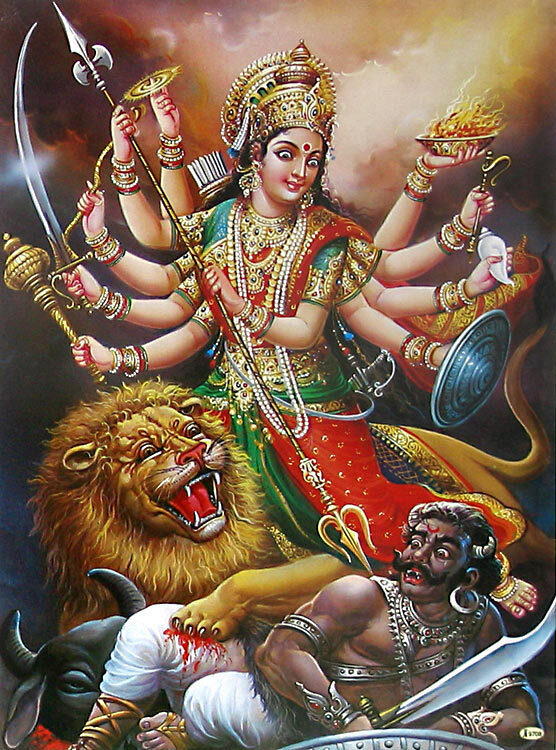 Information about / Informatie over Durga in Wikipedia : NL – ENG.